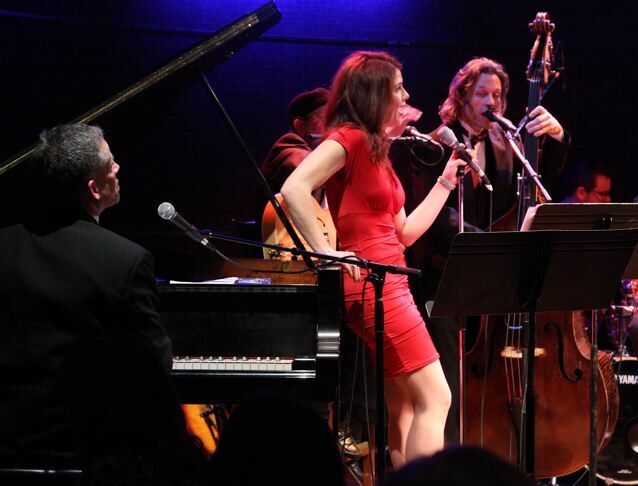 A performance by any of George Maurer’s bands—the 8-piece George Maurer Group, the 20-piece Big Band, the trio, quartet, or quintet—is a guaranteed good time. There’s music and banter, storytelling and jokes, and although Maurer is the leader and linchpin, he’s not the star; that role shifts from moment to moment, song to song. It’s a gathering of friends and equals, a family on stage. The music, much of it written and arranged by Maurer and other band members, ranges from bop to pop, jazz to blues, gospel to musical theater, ballet to settings for poems by Rainer Maria Rilke. Some tunes are serious and moving; some are silly, laugh-out-loud playful. Best advice: Expect the unexpected and enjoy. 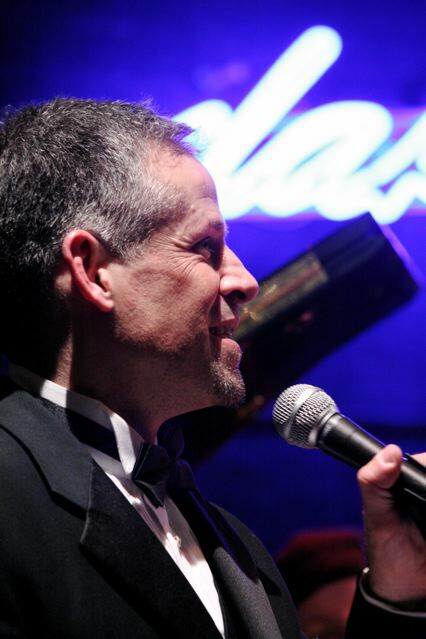 On Saturday night, the George Maurer Group will play two sets starting at 8 p.m. Earlier that day, from 4:30 until 6, they’ll play for a live audience (a large and enthusiastic one, they hope) and a camera crew. Pioneer Public Television, the PBS affiliate serving western and southern Minnesota, received Legacy funding to produce half-hour specials on six Minnesota artists. Eric Olson, now the station’s executive producer, remembered composer and performer Maurer from his days with the KARE 11 Saturday Morning show, which featured Maurer’s group every Christmas. Olson got in touch with Maurer and asked, “What have you been doing for the past 15 years?” Maurer asked him to come and see, and suggested that Pioneer cover his group in a live setting. The program will air on Pioneer starting in July and will also be carried by Twin Cities Public Television, running in a six-week rotation. “Because it’s being filmed,” Maurer told me earlier this week, “we’ll be stopping between songs. We’ll use that time to chatter and tell stories about the group—stories from the road, our history, reminiscences by the band members. [Vocalist] Ann Michels will be with us for that part of the day, after which she’ll leave to perform in 'Jesus Christ Superstar' at Chanhassen, and Rachel Holder will sing with us in the evening. The evening performance will also be recorded for a new live CD. What will we hear during the afternoon taping? “We want to play and perform the best of the best of what we’ve done over the years that hasn’t been recorded yet,” Maurer said. “After 13 years of being together, we have so much music. Saturday’s lineup will include Maurer on vocals and piano, Lauer on guitar, Jeff Engholm on bass, Scott Chabot on drums, Michels on vocals (4:30), Holder on vocals (8:00), Richard Witteman on trumpet, and Rich Manik on saxophone. Since the evening show is longer, there will be more music, including newer originals by Lauer. In Maurer's words, "My goal is to feature everyone." Afternoon public television taping: 4:30 Saturday, March 5, Dakota, 1010 Nicollet Mall, Minneapolis. No cover. Happy Hour libations available. Call for reservations: 612-332-JAZZ (5299). Evening performance: 8:00 Saturday, March 5, Dakota. $15 cover. Sold out, but every event has no-shows, so you can try your luck. Better yet, come to the afternoon taping. • Maurer with Saint Paul City Ballet at the Ordway, March 25–27. Maurer will perform his original compositions to choreography by Saint Paul City Ballet. With Kevin Steinman on vocals, Laura Sewell on cello. Lyrics by Jim Payne. More information here. • Maurer with the Minnesota Orchestra at Orchestra Hall, May 5–6. '80s Rewind! Totally Awesome Hits of the Decade with the Minnesota Orchestra led by Sarah Hicks. Maurer is arranging music and playing keyboards for this event, and growing his hair out. More information here. 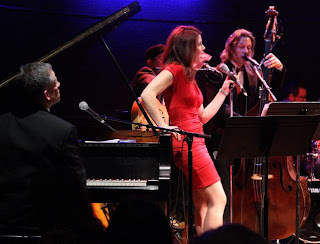 Photos by John Whiting, from Maurer's 2010 Christmas show at the Dakota.